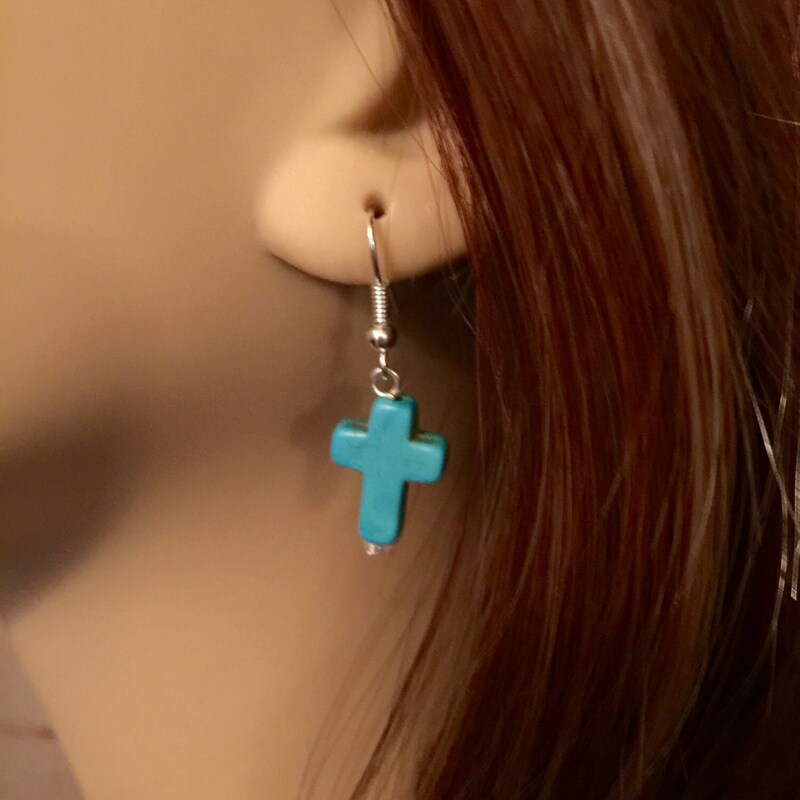 Beautiful handmade Christian earrings made with hypo allergenic silver plate over surgical steel pierced hooks with approximately 1" dangle turquoise crosses with a clear glass bead on the bottom. 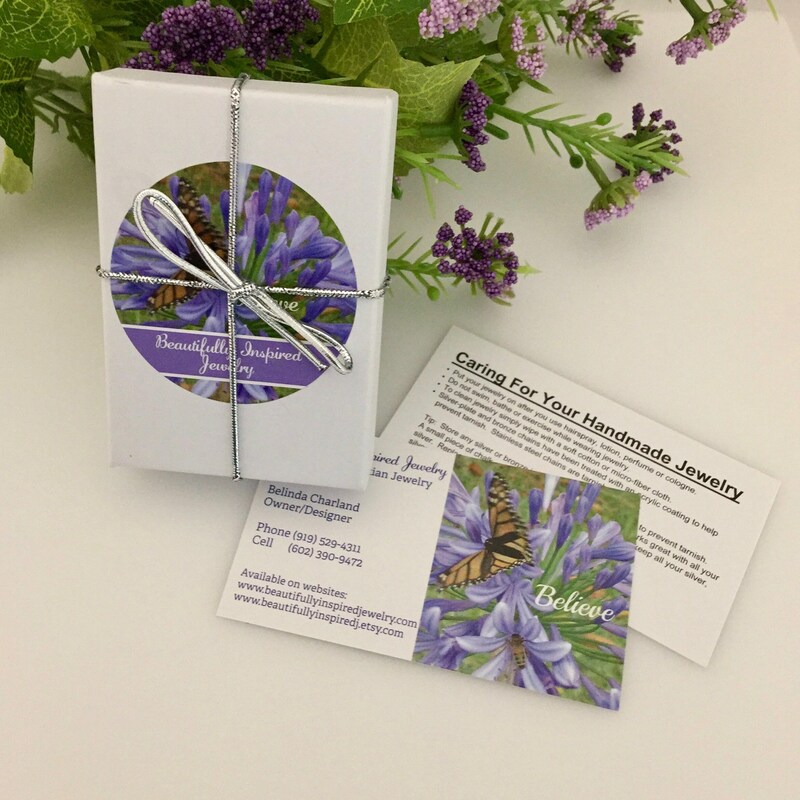 The earrings are comfortable and light weight. 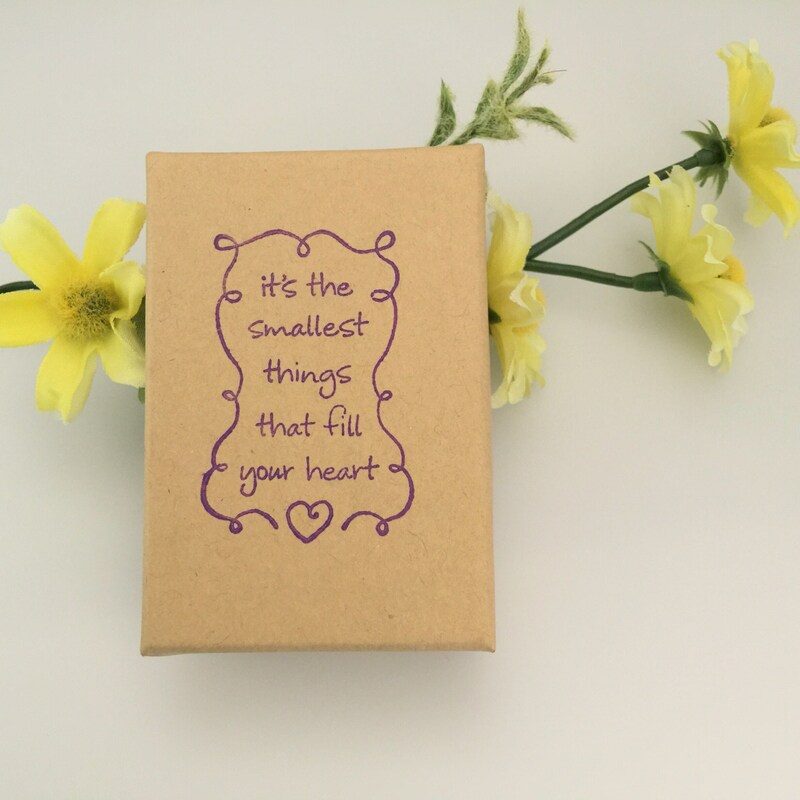 Earrings come in your choice of a gift box in elegant (white) with silver cord, or a natural (kraft) gift box with a stamp that reads: It's the smallest things that fill your heart. 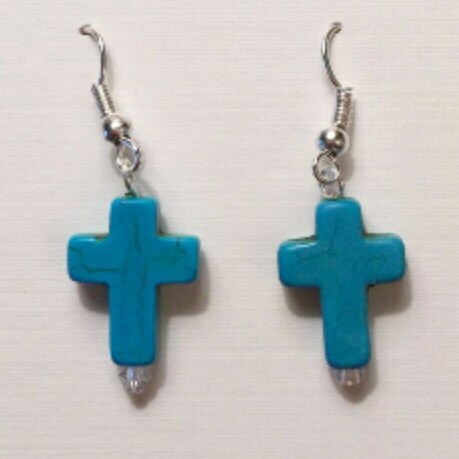 All earrings are pierced, however, if you would like clip-on earrings please make a note on your order. 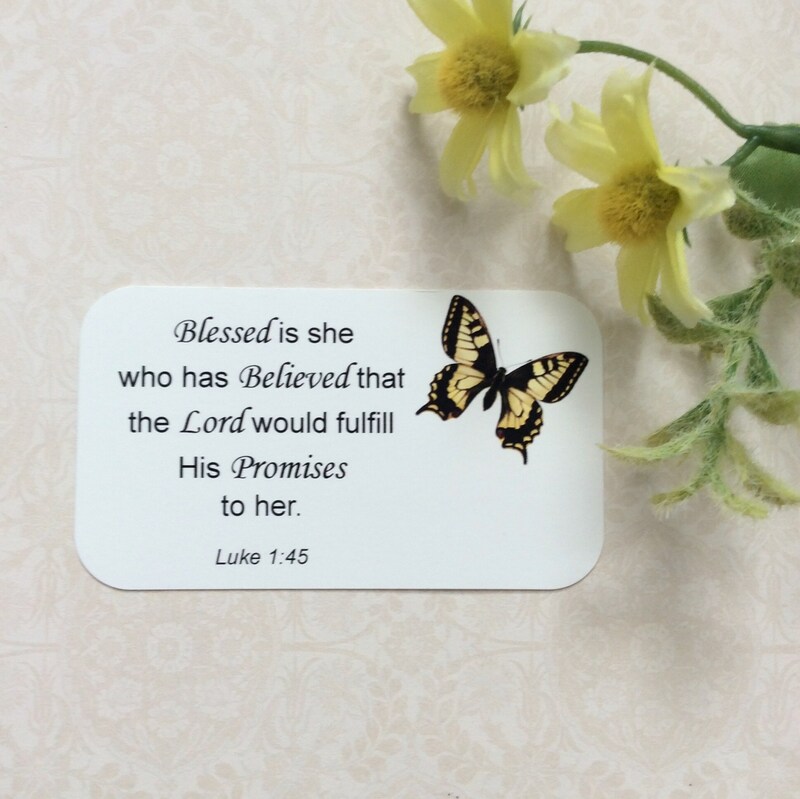 Earrings come with a meaningful wallet size scripture card: Blessed is she who has Believed that the Lord would fulfill His Promises to her. Luke 1:45. 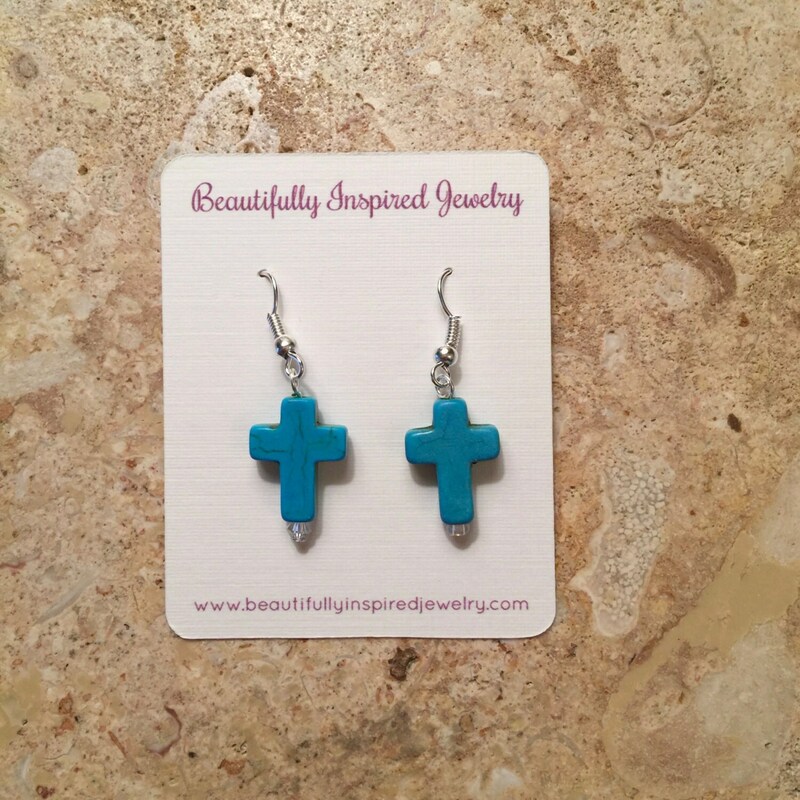 Please note that while these earrings are water resistant to a splash of water or rain and are very durable, they should not be worn in the shower or while swimming.